Norway’s state police intelligence unit PST still ranks Islamist extremists as posing the biggest threat against security in the country. Russian intelligence, however, has the greatest damage potential, according to PST’s latest evaluation of the threats facing Norway in 2018. “People and groups inspired by extreme Islamist ideology will be the primary terror threat against Norway in the coming year,” declared PST (Politiets sikkerhetstjeneste) in its new evaluation of security risks in Norway released on Tuesday. The agency characterized it as “possible” that a terrorist attack would be carried out against Norway, while the overall threat level is considered lower than it was in the years from 2012 to 2015. 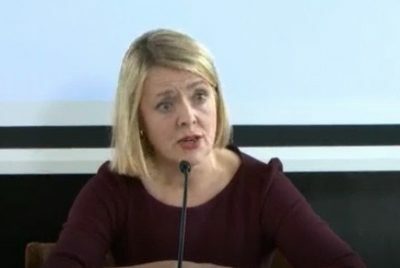 New Justice Minister Sylvi Listhaug, on hand for PST’s presentation of its evaluation by PST chief Benedicte Bjørnland, noted that the threat of terror carried out by Islamic extremists in Europe was still “very high.” She vowed ongoing efforts to hinder recruitment by extremist groups and told state broadcaster NRK that it was important Norway has laws on the books that make recruitment a criminal offense, as in the recent case of a young Norwegian Islamist who was sentenced to jail for nine years. Bjørnland noted that right-wing extremists also pose a threat in Norway, although their numbers are small and the potential for attack is viewed as improbable. Developments are expected to become more clear iin 2018, as right-wing rhetoric because “harder and more threatening.” The traditional neo-Nazi groups in Norway target minority groups such as immigrants, Muslims, Jews and homosexuals, PST reported. Bjørnland devoted much of her presentation, though, to the threat of espionage both within Norway and against Norwegians when they travel or reside abroad. “Recruitment of sources and agents and charting of operations and critical infrastructure will pose the most serious challenges tied to foreign states’ intelligence-gathering operations in 2018,” stated PST in its report. Foreign spies’ major goals will be within the Norwegian defense and preparedness sectors, state goverment, research and developments and operations tied to critical infrastructure. Bjørnland claimed that Russian intelligence operations “still have the greatest potential for doing damage.” Other countries’ agents, including Chinese, can also carry out unwanted and damaging operations. Bjørnland said that PST was concentrating this year on revealing the methods used by foreign intelligence agents. Norwegian employees of targeted operations should, for example, be skeptical towards any requests from colleagues, contacts or acquaintances for sensitive information that is not a natural part of their job portfolio. “We see that intelligence officers especially exploit open seminars and conferences with themes related to security policy, the northern areas, technology and innovation as arenas to establish contacts,” Bjørnland said. “We expect that these arenas will also be used in 2018.” She warned that after a first approach at a conference, a foreign intelligence officer or recruiter may then call to set up a meeting, and through various forms of “cultivation,” make their target feel a sense of gratitude that can also be exploited further in the recruiting process. Bjørnland refused to answer questions, however, about PST’s involvement in the case of Frode Berg, a retired Norwegian border inspector from Kirkenes who was arrested in Moscow last month and charged with espionage himself. “There is only one Norwegian authority addressing that case, and that’s the foreign ministry,” Bjørnland said.